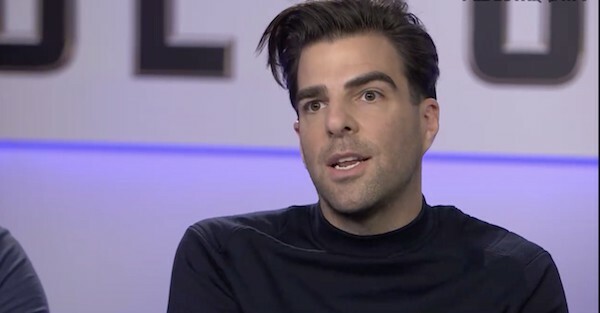 Out Star Trek Beyond actor Zachary Quinto, who portrays Spock in the reboot of the classic sci-fi franchise, said that as a member of the LGBT community, he’s “disappointed” by George Takei’s response to the fact that the character of Mr. Sulu has been revealed to be gay. After news emerged yesterday of the character’s development in that direction, George Takei, who played Mr. Sulu in the original series, called it a “really unfortunate” turn of events. Quinto’s remarks echo those of screenwriter Simon Pegg (who also plays Scotty in the reboot), who said he “respectfully disagrees” with Takei.